Instagram is probably the only app that constantly adds new features. It is a great way to develop your creativity, but it is even more important for businesses to stay updated on new features to run their accounts with the most success. Instagram bots don’t exist anymore. All the bots for mass following, liking, etc. should have stopped working. 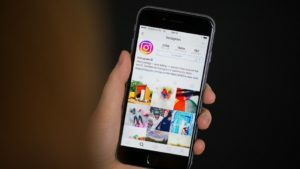 Companies can no longer see what posts you like, so all the shopping apps can’t determine your preferences just by looking through Instagram activity. Now you can’t post or delete any comments from anywhere, but your personal account. If you don’t want to see someone’s posts, but are not willing to unfollow, use the “mute” function. With it you will be totally in charge of the content in your feed. The muting feature will help you to keep both high quality content of your feed and your friendships. 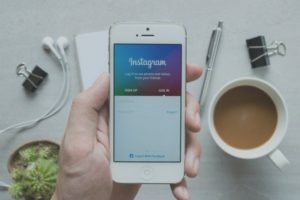 Hyperlinks of your username or hashtags in the Instagram bio is a reality. Put “#” or “@” in your bio in front of a hashtag and it will become a clickable link. Note that those hashtags in bio will not be useful for searches, so it’s better to put your own hashtag in bio of your Instagram account. 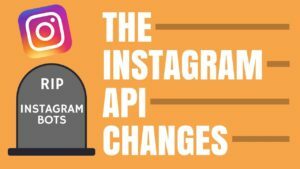 Instagram cares not only about changing the external features of the app, but also users’ well-being and safety. A new option called “time spent” feature” tracks the amount of time people spend on Instagram. It is very helpful option to control how much time are you on the social apps to keep it healthy and safe for both your mental and physical health. Another feature for users safety is anti-bullying filters. F8 Conference reported that in the nearest future Instagram will ban and hide accounts with content that contains harassment, bullying or any other violance towards others. The app is also launching a special filter that will monitor and delete comments that contain attack speeches or threats. With a big new variety of fonts, you can now let your creativity flow to come up with unique and memorable stories! Business accounts can use this feature to draw attention to important updates like sales, events or coupons. Making professional-looking portraits is easy now even if you don’t have special equipment for that. Instagram’s new option “Focus” is located near Boomerang and Superzoom features. When using this feature, the face of the person will be in focus, and the background will be smudged, making a picture look very professional and of the highest quality. Earlier users were able to repost any posts they like, but not stories. Now you can repost any story you are tagged in with one click. 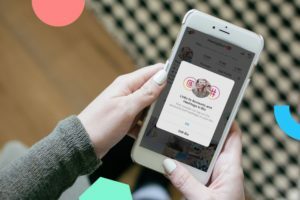 The button will pop out in your Instagram DMs when someone tags you in their stories. You can either repost it the same way or make some cool edits.